LIFE, TRANSFORMATION, & ADVENTURE are words Fort City Church uses to describe it’s ministry in the bustling Oil Sands region of Wood Buffalo in northern Alberta where Doug serves as Lead Pastor. Fort City Church is a church with a passion to tangibly make Jesus visible to our municipality and world, serving as a grace filled community that is welcoming and sensitive to people whatever their faith background and wherever they may or may not be at in their faith journey. It’s an adventurous community that is willing to think outside the norm while prayerfully wrestling with what it means to be involved in ministry both within and beyond the walls of the church facility. This results in a passion to see individual lives and the city as a whole touched and transformed by the love of Christ. 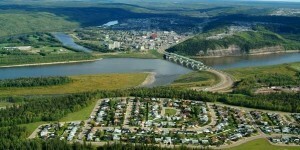 Being in a city with global influence, Fort McMurray Alliance is seeking to be a unique global influence for Christ in partnership with it’s denominational family, the Christian & Missionary Alliance. 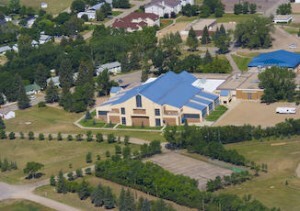 Doug was also involved with Briercrest College and Seminary in Caronport, Saskatchewan. For several years while also serving at Fort City Church he taught as an Adjunct Assistant Professor of Pastoral Theology. This reflected Doug’s sense of urgency to see the next generation of ministry leaders raised up to serve effectively within our ever evolving Canadian culture, as well as our vastly changing world. Previously Doug served for 20 years as the Lead Pastor of Redwood Park Church, a multi-site missional community that is committed to seeing the message and life of Jesus impact Thunder Bay, Barrie and beyond. 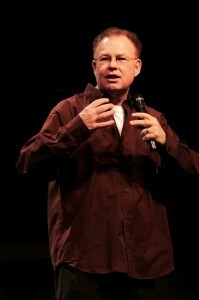 Over Doug’s years in Thunder Bay the church grew from a somewhat traditional inward looking community of well under 200 to a church that looks outward to it’s city and world with a church family that was approaching 900 in weekend attendance and close to 1,600 people who called the church home. Doug is married to Jane, who possesses an amazing gift of hospitality and the ability to cook for hundreds! They have three young-adult children. Meagan is a paediatrician in Ottawa. Susan who is married to Chris Groenheide, is currently travelling the world and looking to head to Fort McMurray for a landing spot at the end of this journey. She’s a teacher with a passion for market gardening and encouraging people to “eat local.” Graeme who has been involved in an eclectic mix of insurance and financial planning, working for a highway line painting company, and ushering at Thunder Bay’s Community Auditorium is now in Vancouver where he does some TV acting and supports that passion by working at a downtown Japanese restaurant. Each of them in their distinct way has a yearning to be difference makers in this world. Meal times at the Doyle household tend to be a bit of a party, but you might want to ask what it is you’re eating – as sometimes Doug enjoys a hike with a good friend and a gun in the beauty of our rugged Canadian outdoors, or maybe a paddle on a remote lake with rod in hand. He’s thinking that living in Fort McMurray, might meaning having to break down and add an ATV to his toys.